For over 30 years Home, Door and Window Products has been the top leaders in the steel door industry offering premium doors in the Metro Detroit Area. We have a great relationship with our clients having over 150,000 satisfied customers. Home and Door services both residential homes and commercial businesses with great steel entry doors, which will also increase the security of your home or business. We have Therma-Tru steel doors, and they are the most durable doors on the market. Home and Door has a variety of steel entry doors in stock. Our Huntington Woods clients receive satisfactory service from our outstanding sales associates. Huntington Woods is a suburb of Detroit, located in southeastern Oakland County, Michigan. Home and Door has a showroom near Huntington Woods that displays our fantastic steel door options. Huntington Woods’ population is 6,238 and its borders are the Detroit Zoo and Rackham Golf Course. Our Huntington Woods customers know that when they purchase a steel front door from Home and Door they will get an excellent product. 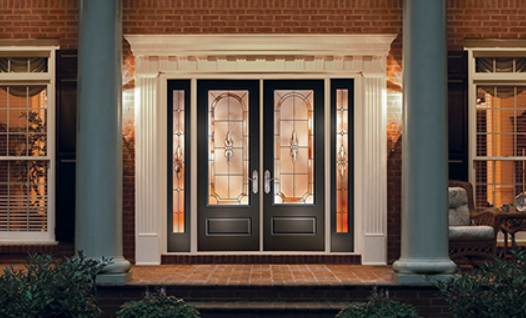 Home and Door will save you money, not only are our doors beautiful but they are energy efficient. We have a qualified sales team available to help you select the right steel front door. Home and Door can enhance the appearance of your home or business with one of our custom designed steel doors. Call our knowledgeable staff to set up your FREE in-home estimate. Our steel doors will give your residence instant curb appeal. Contact Home, Door and Window Products at (248) 399-9900 for premium steel doors today!